Your body changes when you start a family. We can help you regain control. At Burrard Physiotherapy, we recognize that women can develop very unique problems. Often these are associated with pregnancy and child birth. Many women are resigned and think that it is just a part of life. Not true! All these problems can be overcome with the right intervention. 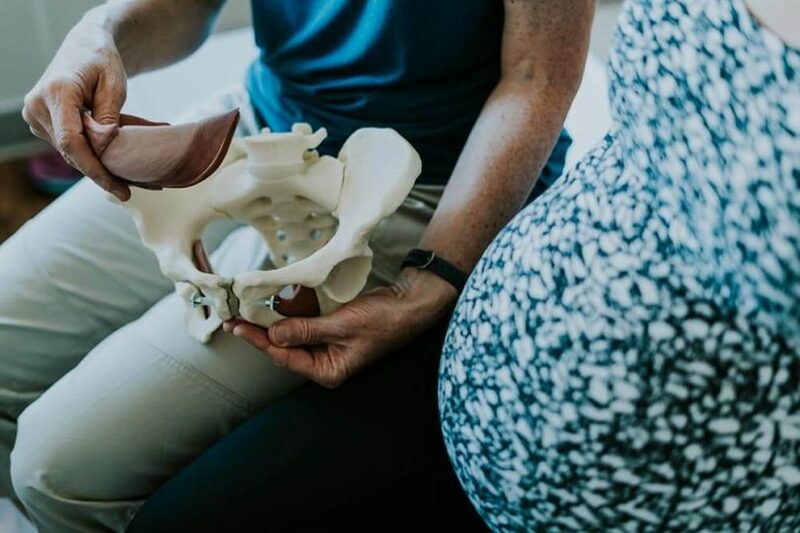 Lynda Lawrence has over 20 years of experience and significant specialized training in treating pelvic floor, pelvic pain and osteoporosis, just to name a few. After a comprehensive assessment, she will explain to you what can be done so that you can resume all your normal activities. She has the latest technology in the form of Real Time Ultrasound and biofeedback to retrain the muscle function back to normal. Physiotherapy is our passion. Your health is our priority. Burrard Physiotherapy one of the leading clinics in Vancouver and is home to 12 highly skilled physiotherapists, 2 massage therapists, kinesiologists, yoga instructor, pilates instructor and exercise therapists. All of our treatment rooms are large and private. You will be booked on a double slot for your initial assessment, so expect to be at the clinic for at least an hour. Don’t let life pass you by. We can help. After a couple of failed visits to other clinics, Linda Warren gave me the confidence the physiotherapy does exist and is useful. Her genuine interest in my condition (bike accident), professional attitude and all the information she provided helped me understand what's wrong and how it will get better. Her therapy is also helping relieve the pain and the worry associated with it. I feel like she could be my regular physiotherapist going forward. Great location, and the hours are pretty good. Just minutes away from my boyfriends west end condo so I usually walk over. This clinic has helped me a lot. I used to go for massage therapy when I had a muscle injury (Erika is great) and then for another injury I tried IMS. I'm legit terrified of needles but a friend told me to try it, and it did wonders. Farhana (I hope I spelled that right!) is amazing, a few sessions fixed me right up, much less painful than massaging the muscles. I am very grateful to the staff - they've kept me on my feet (literally). I've been going to Burrard Physiotherapy for almost a month after a triceps tear lead to arm, shoulder, and neck pain, and have been working with Kevin Chen. He's incredibly knowledgeable, kind, and receptive, and the improvement with my pain and discomfort is noticeable. The environment is clean and comforting, and the receptionists always greet you in a warm way. Treatment always starts on time too. A mainstay of Physiotherapy practice in Downtown Vancouver. Burrard Physiotherapy is an amalgamation of two outstanding physiotherapy clinics in downtown Vancouver. Burrard Physiotherapy Associates was established in 1982 as was Burrard Physiotherapy Clinic each of these businesses operated out of separate locations one block apart. It wasn't until local Kerry Maxwell purchased both clinics in 2004 and 2005 that they merged to become Burrard Physiotherapy. The clinic is driven to provide an outstanding level of care and recovery for patients. Each of the therapists at Burrard Physiotherapy have multiple levels of training and education over and above their original degrees. In addition, everyone leads active lifestyles. This is essential to understanding the impact that an injury can have on your lifestyle. We believe physiotherapy carried out by a qualified team is the path to freedom of movement and mobility & we believe freedom of movement is essential to quality of life. Our reception area boasts a coffee and tea service and comfortable seating in a cozy setting filled with local art. Any of our three receptionists will be happy to settle you in to your treatment routine while you are here with us.